Solomons Jewelers is a 60 year old family owned business run by jewelry professionals and Gemological Institute of America graduates. Our three generations of experience let us offer certified appraisers, highly skilled design staff, repairs and watchmakers on our premises for all restyling. 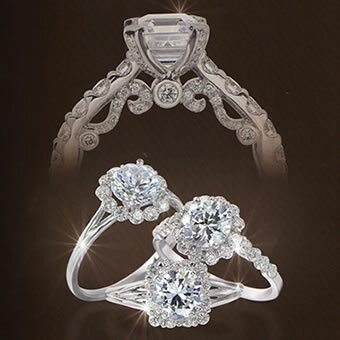 We have a wide variety of magnificent designer couture jewelry, name brand watches, and certified diamonds.